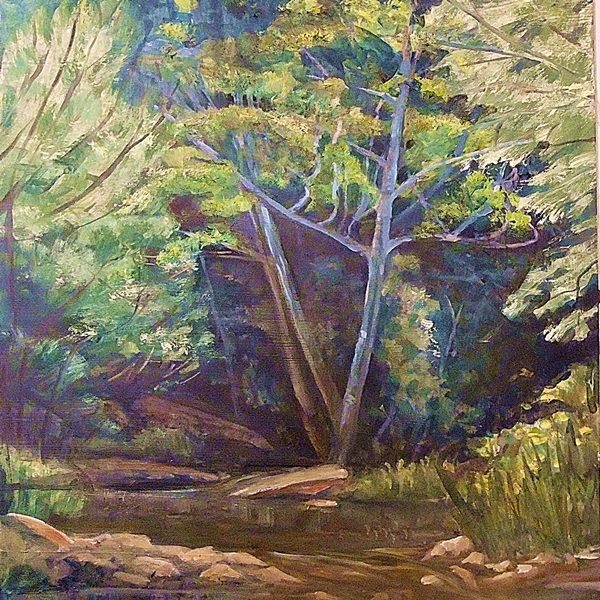 Silent Waters triptych 2 – oil on canvas mounted on hardboard, 28x75cms. 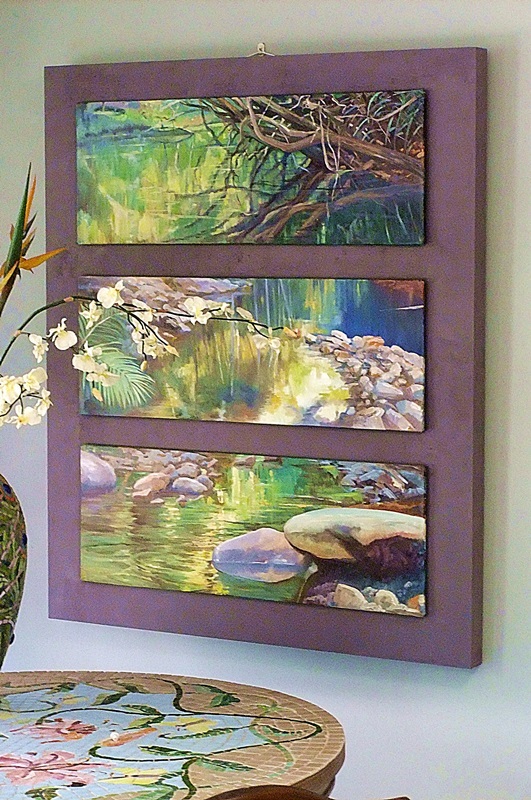 Silent Waters Triptych 3 – oil on canvas mounted on hardborad, 28×75 cms. These are three paintings I developed from the small paintings I put up in the previous post. 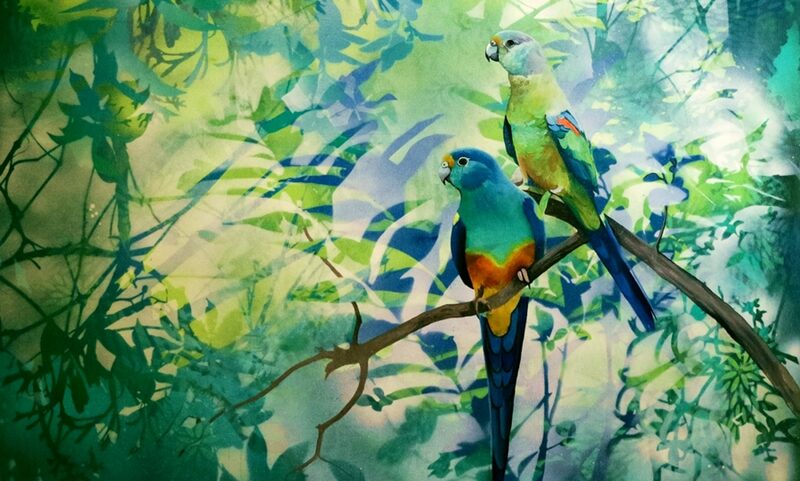 They are all scenes from Mudgeeraba Creek, a few kilometres down the road, right up in the headwaters of it, where it is very shallow. 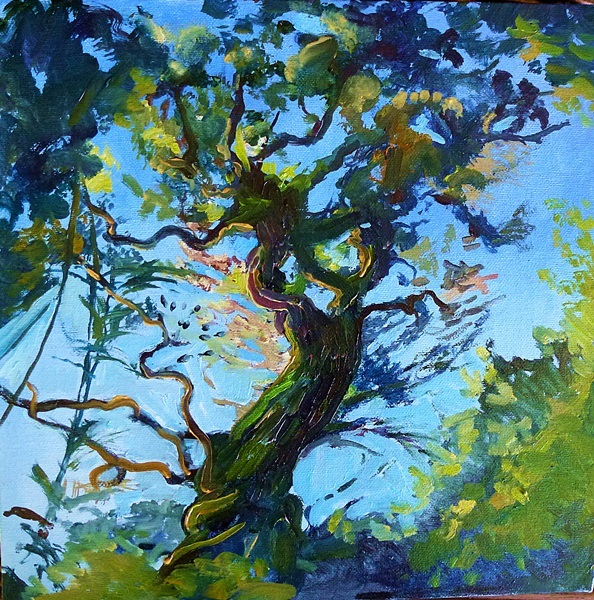 There is a fantastic quality of light there in the early morning, when the sun is lighting up the tops of the trees but the under-canopy is in shadow. 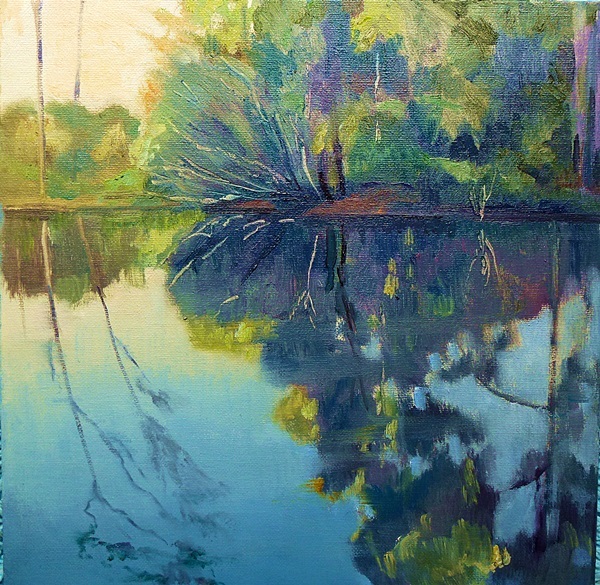 The colours of reflections this makes is amazing – like liquid gold and green satin. 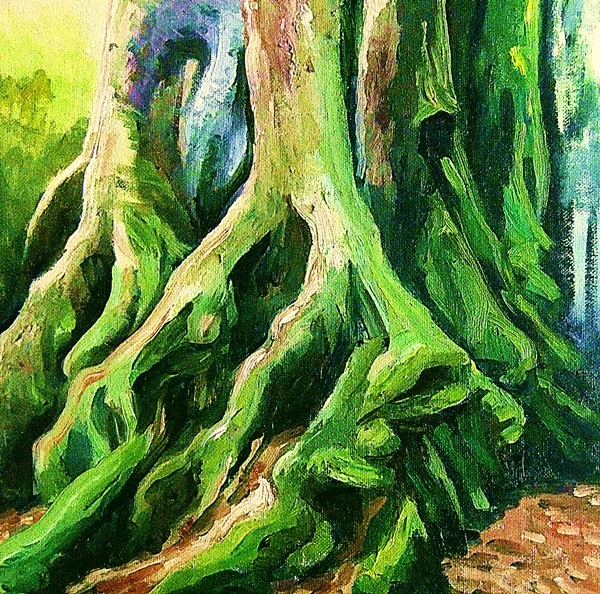 The work is currently on display at Monet’s Art Garden Gallery, Metro Centre, Hollywell Road, Labrador. The mosaic table-top in the foreground is also my work, if anyone is wondering. 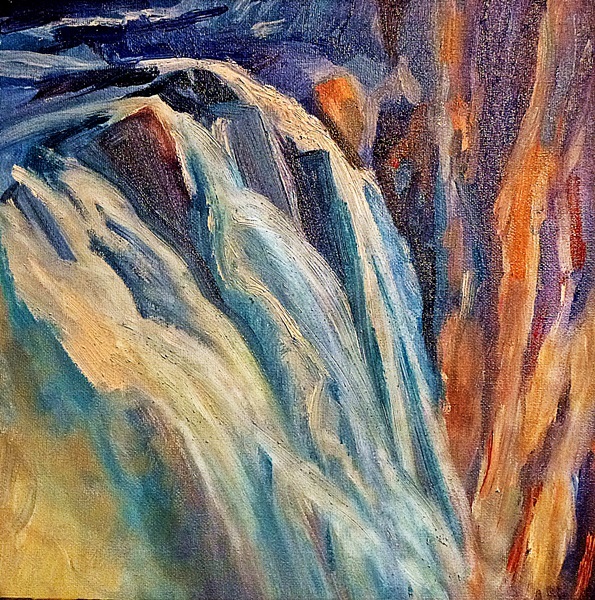 Top of the Falls, Springbrook, oil on canvas board, 30×30 cms. 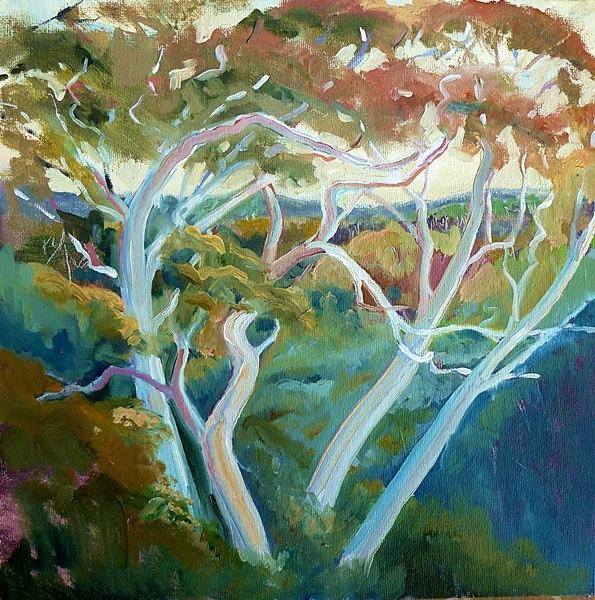 Dancing ghost gums, Springbrook, oil on canvas board, 30x 30 cms. 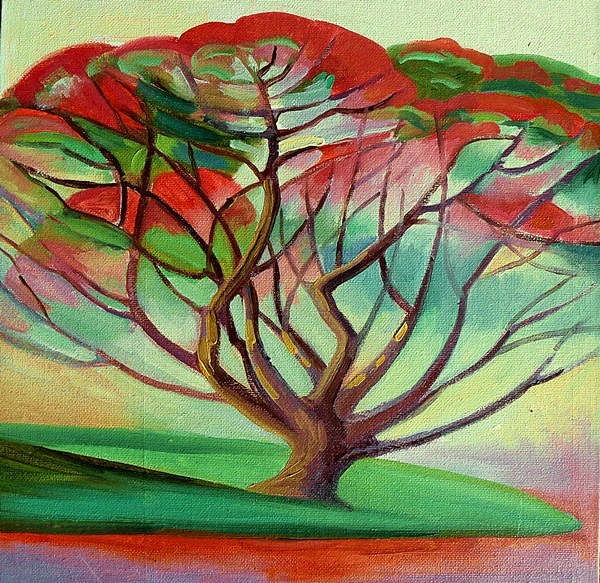 Poinciana in Bloom, oil on canvas board, 30×30 cms. 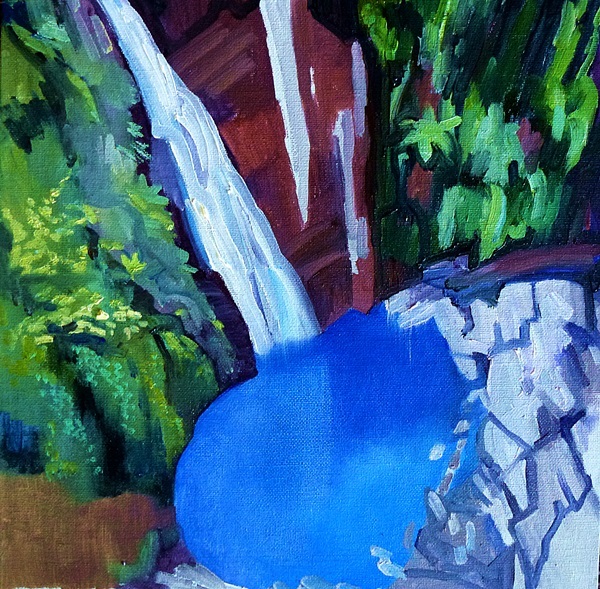 Coomera Falls, oil on canvas board, 30×30 cms. 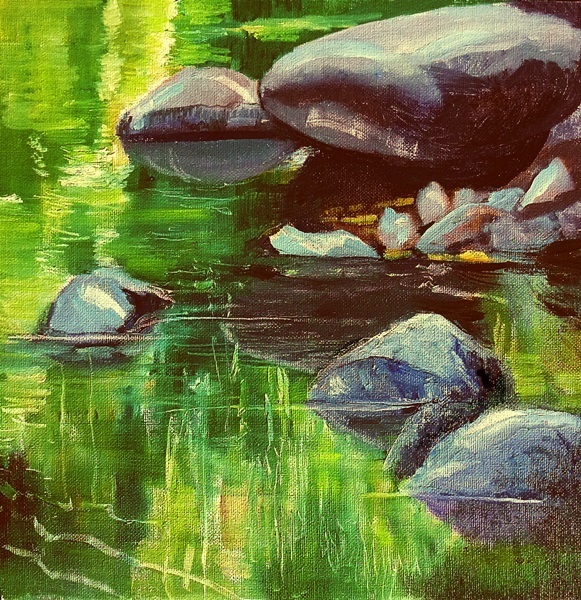 I recently had the task of painting twenty small sketches of “my place” for the Fine Arts painting unit I was then doing. These are some of the paintings that resulted. 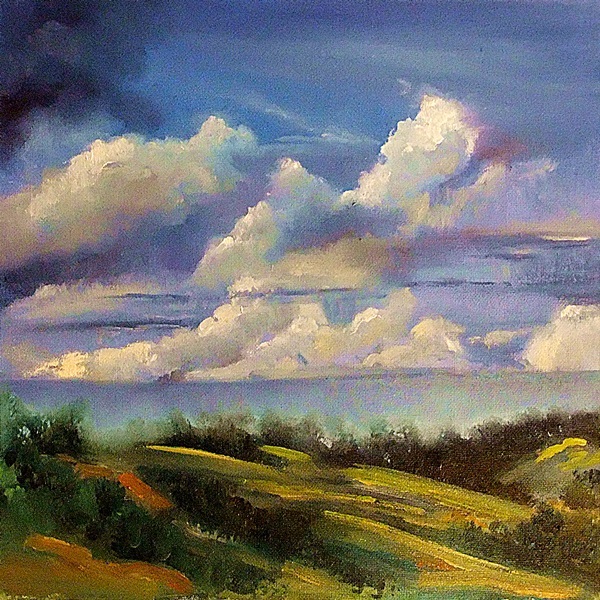 The exercise focused my thoughts on what I find so special in the place where I live. 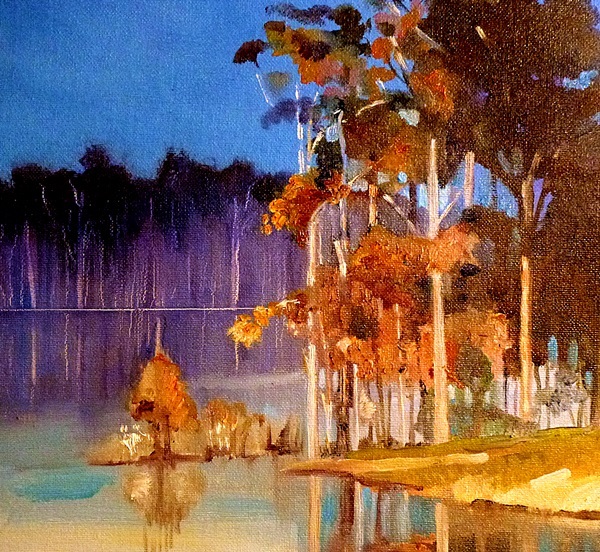 Many of the paintings were of Mudgeeraba Creek, an unassuming little water-way that wends its way through sub-tropical rainforest, often very shallow, rippling over polished river stones.